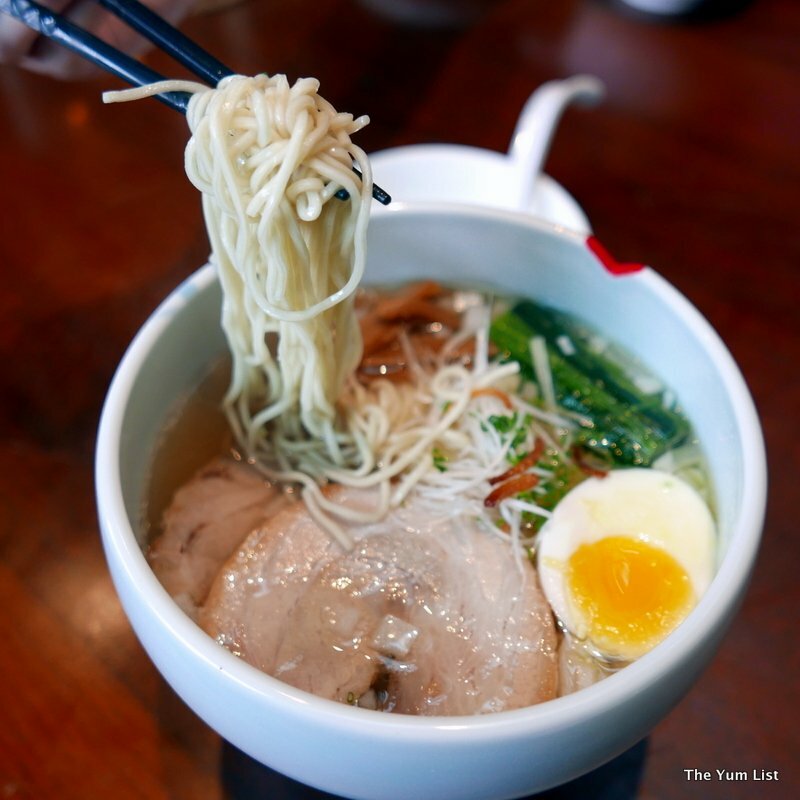 With a mission of spreading “smiles and arigatou through bowls of Ramen,” IPPUDO has more than accomplished its goal with over 200 restaurants in 14 different countries worldwide. And, while IPPUDO is famed for its Tonkotsu (pork-based) Ramen, there’s much more to love on the menu. Shigemi Kawahara, founder of IPPUDO, has been fondly dubbed the Ramen King, but in the new premium menu we sample at the higher-end outlet in Bangsar Shopping Centre, we soon find a whole lot to fill our tummies and engage our taste buds including and in addition to delicious ramen. There’s an unexpectedly comprehensive drinks list at IPPUDO in Bangsar Shopping Centre. Along with an extensive listing of sake; spirits, wine, beer and cocktails further booster the offerings. Mango Tango is beautifully presented on a wooden board, sided with a grilled slice of mango and garnished with a sprig of rosemary. 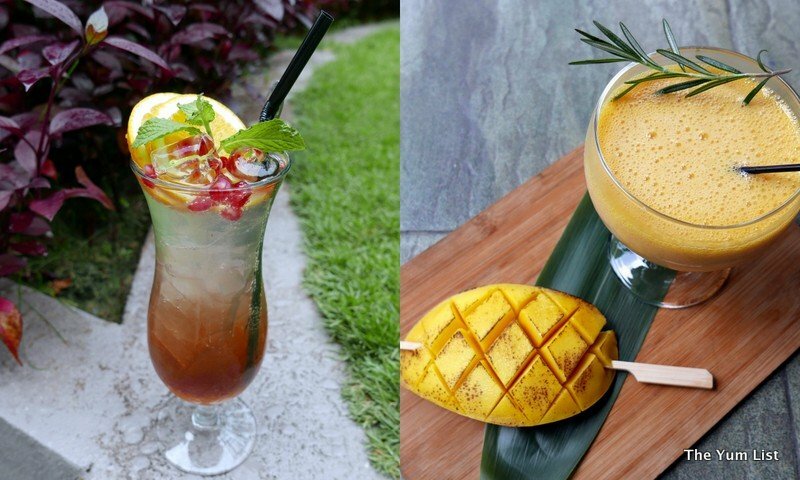 Japanese whisky, passionfruit, mango and lemon make a thick, sunshine-coloured drink, that disappears all too quickly. A pretty beverage is found in hubby’s choice, the Pomegranate Sunrise. Pomegranate and orange make a fresh and fruity concoction, a natural refresher for a hot afternoon. Pork Rillettes (RM27) arrive on a chunky chopping board holding thick slices of garlic toasted baguette. 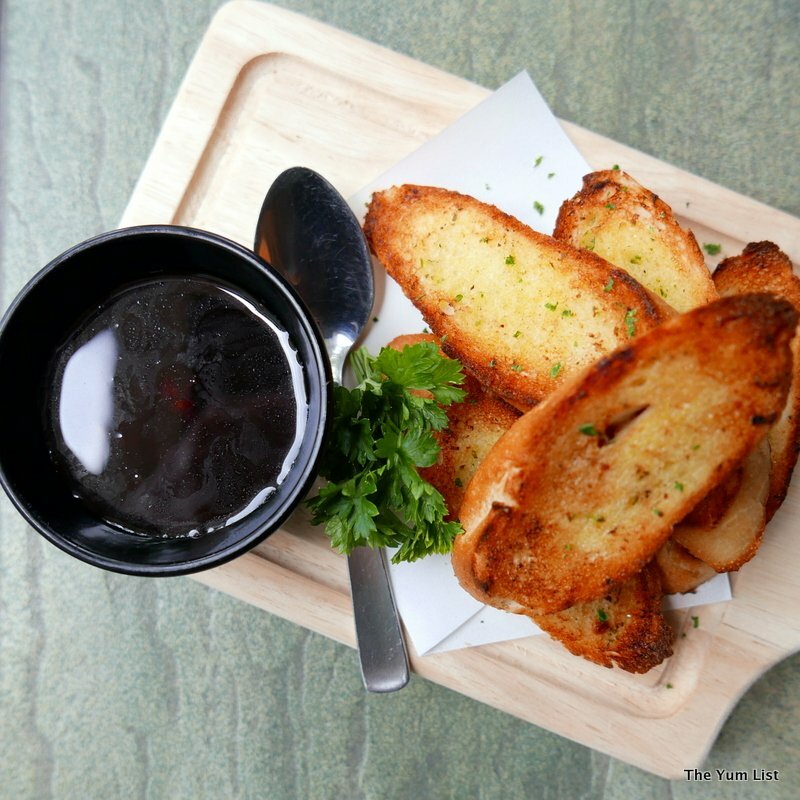 The dipping is rich with a soft bundle of pork pate in a sweet Port wine sauce. It’s good on the bread, but really it’s delicious enough to spoon all by itself. 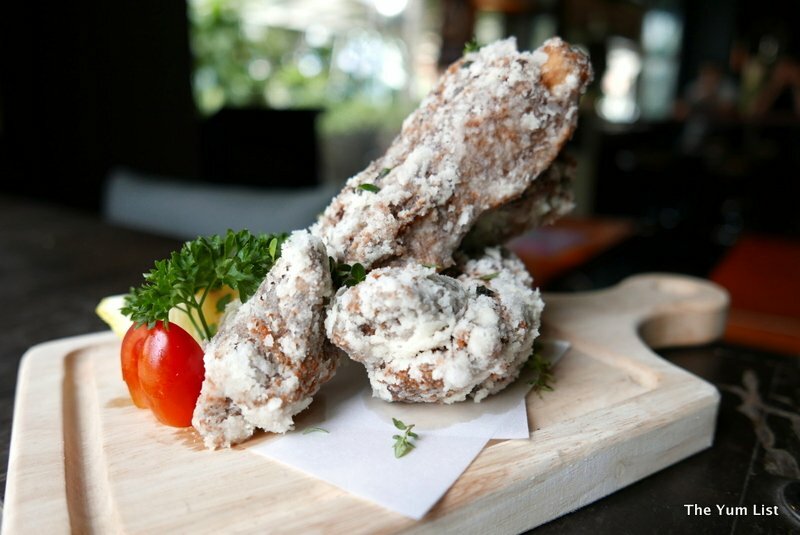 Deep Fried Samurai Ribs (RM31) look as though they’ve been splattered with icing sugar. The white flakes, however, are actually salty bits of batter. The meat has been marinated in chef’s secret sauce and spices. They’re a little bit sweet, a little bit salty and these babies are tender, moist and as the cliché goes, finger-looking good. 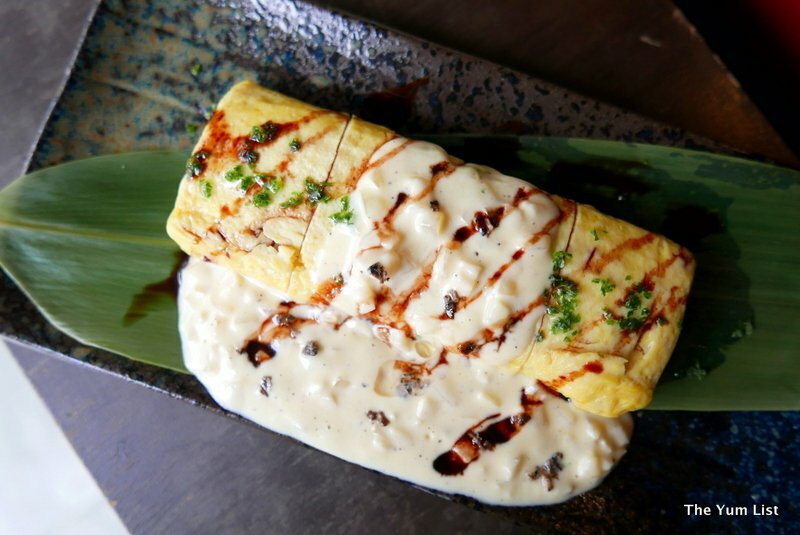 Dashimaki Truffle (RM25) is a fluffy, mildly sweet Japanese style omelet in a roll. A topping of parsley, tuffle oil and a creamy white sauce, turn a simple dish into a decadent delight. The white sauce, made from cream cheese, onion and Port is a thick addition and the plate, despite being meat-free, is a substantial dish. 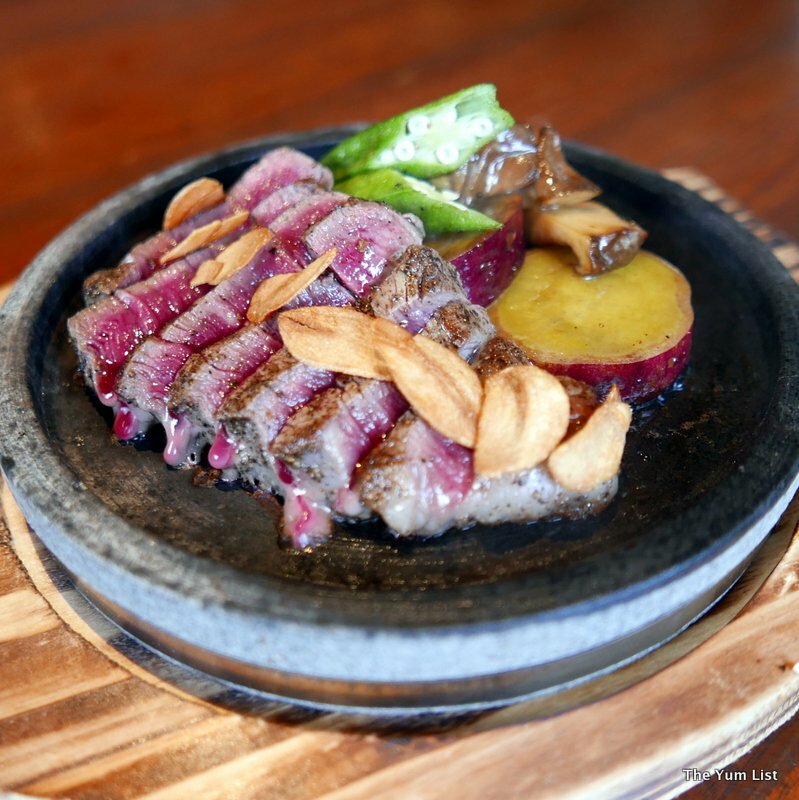 Japanese Wagyu Steak (100 gm RM 108, 200 gm RM198) is recommended to be cooked medium rare to fully appreciate the superb cut of meat. The tenderloin is stone grilled leaving the peppered edges nicely charred, and arrives still smoking on the hot plate. If you’d prefer it cooked more, you just have to leave it on the plate a little longer. If, however, you’d prefer it rare, it’s best to take it from the plate straight away as the heat will continue to cook it through. Delicious slices of Japanese sweet potato, lady’s fingers and eringi also are hot from the grill, and a side platter holds daikon oroshi, balsamic vinegar and wasabi. Hubby, the meat lover, drools over this dish with happy murmurs accompanying each forkful. 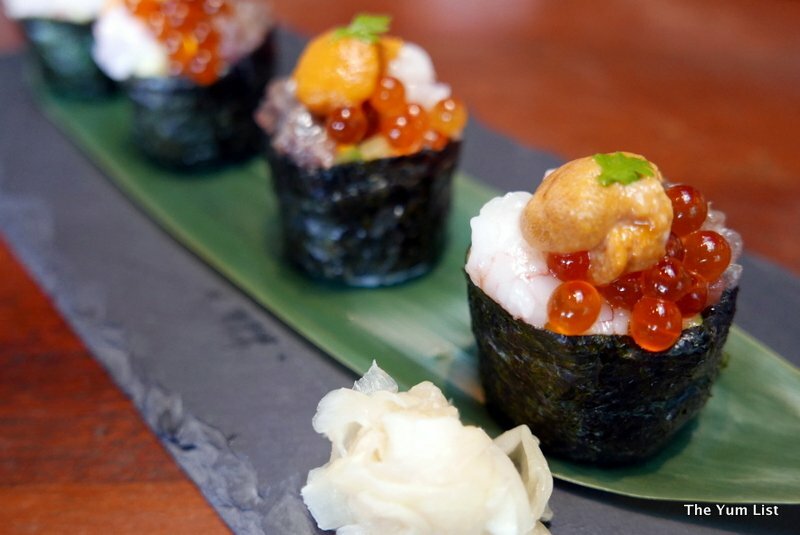 An opulent looking slate platter of Zeitaku Maki (RM98) features freshly minced tuna belly, amaebi (sweet shrimp), uni (sea urchin) and ikura (salmon roe) on wrapped takuan, avocado and cucumber rolls. 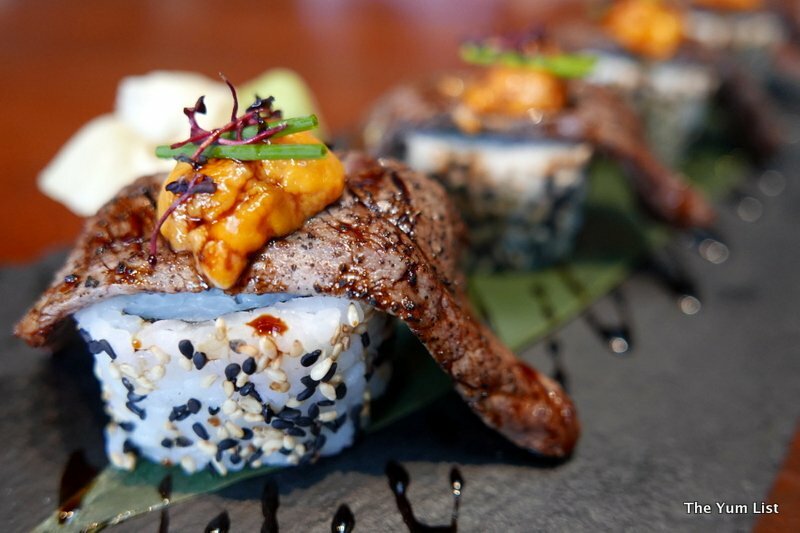 Known as the ultimate luxury, Gunkan (battleship) sushi surely lives up to its name. Another handsome tray is delivered, this time featuring tender seared slices of wagyu beef decadently draped over wrapped takuan, avocado and cucumber rolls. 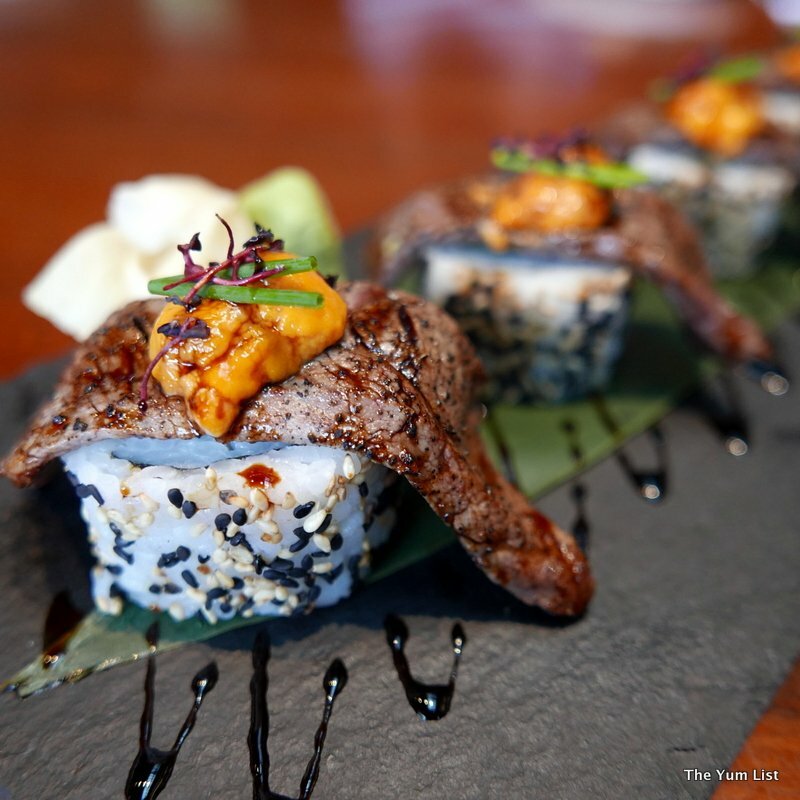 Yokubari Maki (RM118) is sure to be an instant hit with the carnivores at your table. Glistening in a bacon and citrus dashi broth are glorious slices of Gindara Saikyo Miso Yaki (RM78). 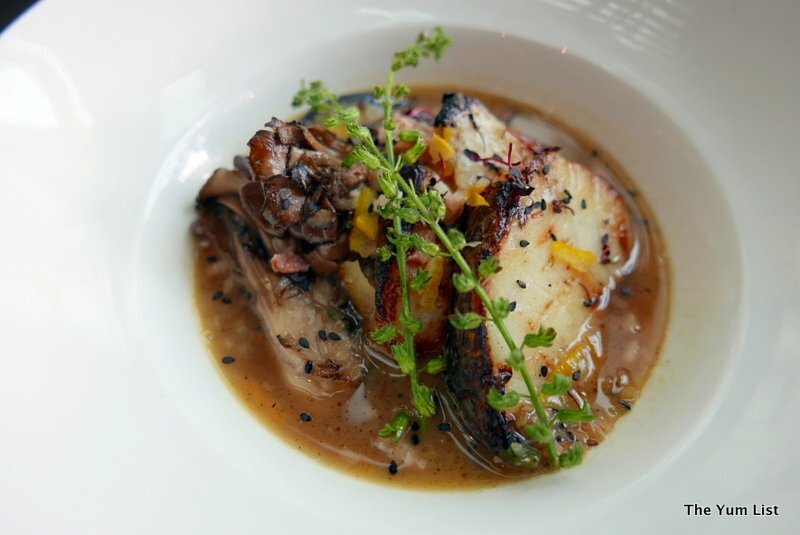 The grilled cod fish is crisp and golden around the edges and sits beside pieces of eggplant and maitake mushrooms. Shiso flowers garnish the top and have a similar flavour to the leaf of the same plant. The broth is a fantastically more-ish liquid balanced perfectly with fresh citrus lightening the savoury depth of the bacon. Buri Kama (RM95) and Salmon Head (RM59) Acqua Pazza showcases buri (yellow tail) and salmon head poached in a herb broth with oregano, basil and dill. 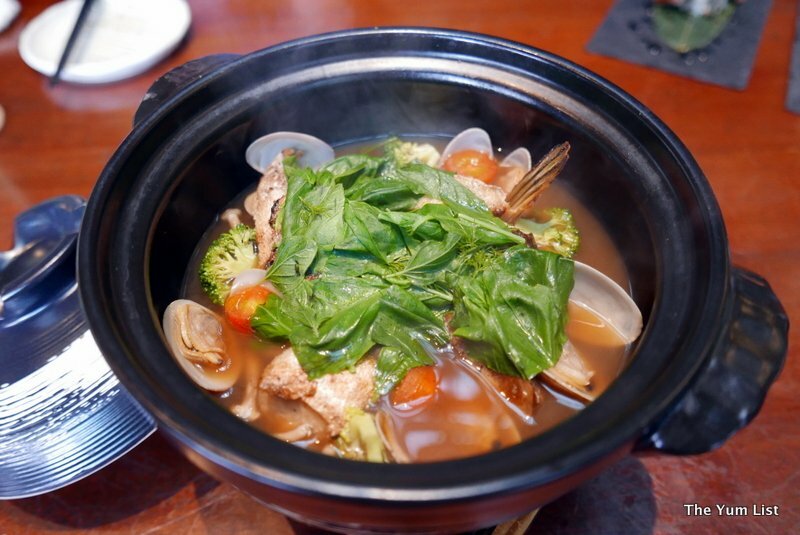 Clams, broccoli, tomatoes and shimeji boost the heartiness of the bowl. 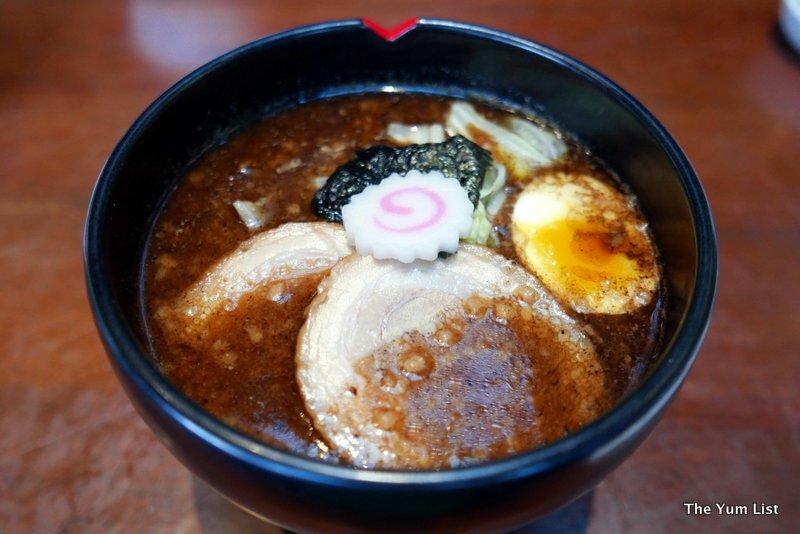 The broth of the Kogashi Miso Ramen is “burned” with lard at a temperature of 300 Degrees Celsius producing the distinctively rich, smokiness of the Kogashi soup. Generous slices of pork belly, salted soft-boiled egg, Naruto-maki, cabbage and seaweed fill the bowl making a hearty, satisfying complete-meal-in-a-bowl. A note on correct positioning: the bowl should be placed with the meat closest to you and the red V in the bowl should be at 12 o’clock. As with all of the other items previewed today, the Kogashi Miso Ramen (and theTanrei Shio Special Ramen ) is only available at the BSC location of IPPUDO, and this one, in particular, is only made after 5 pm on weekdays and all day on the weekends. Tanrei Shio Special Ramen (RM39) is markedly different to the former ramen. Lightly salted chicken broth forms the base, which is almost clear. Thin noodles have a springy texture and provide a cushion for a halved salted soft-boiled egg, pork belly slices, bamboo shoots, leek, fried onions, spring onions and seaweed. While I prefer the intense rich flavours of the Kogashi Miso Ramen, this lighter version is very appealing to hubby – something to cater for a variety of taste buds. After such a sumptuous line-up of premium Japanese dishes, a petite bite of sweetness is all that is needed to top off the feast. 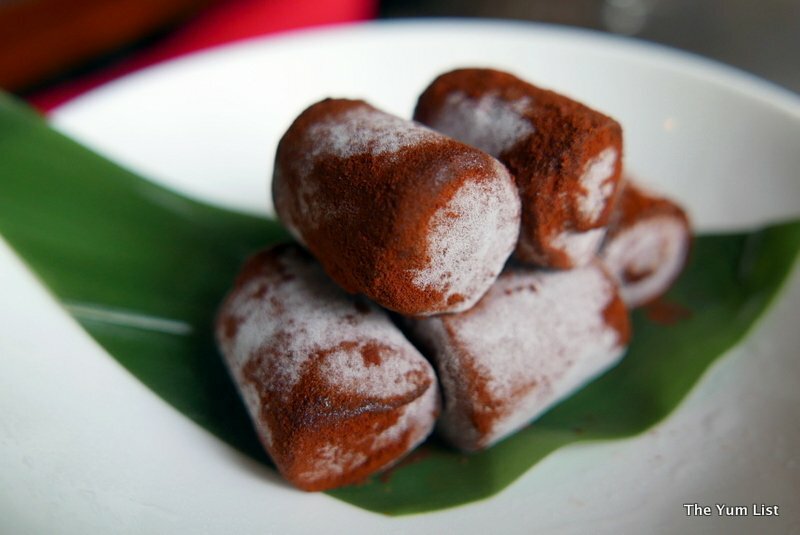 Nama Choco Rolls (RM15) are lusciously creamy Royce chocolate ice cream rolls coated in powdered chocolate, and make a “just right” ending to a terrific meal. Reasons to visit: superb Japanese cuisine with a twist and a quality drink menu to back it up; the premium IPPUDO outlet in Malaysia has dishes only found in this location; don’t miss the Kogashi Miso Ramen, Gindara Saikyo Miso Yaki and the Yokubari Maki. 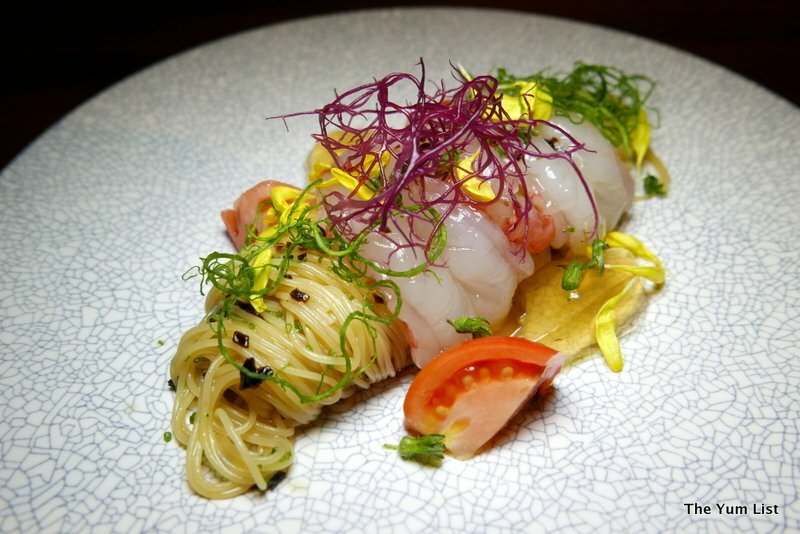 • Everything you see in this article is only available at IPPUDO BSC, not at Gardens or Pavilion. With all those clams in the Acqua Pazza, I’m sure the broth is very sweet and nice. The dishes look lovely and tasty! What a bummer…how I wish some of these dishes can be found at the Pavilion branch (which is so much more convenient for me) as they look utterly delicious. I will go for the bowl of special ramen! I have been to the one at Pavillion and I guess I must make the Bangsar outlet my next destination. Wow! Everything looked so good I don’t know what to start with!! Your hubby’s drink was so beautiful. Maki was so beautifully made. Hello, everything looks delicious. The Taste sound refreshing and look pretty. I would like to try the omelet. Wonderful photos. Happy Monday, enjoy your new week! 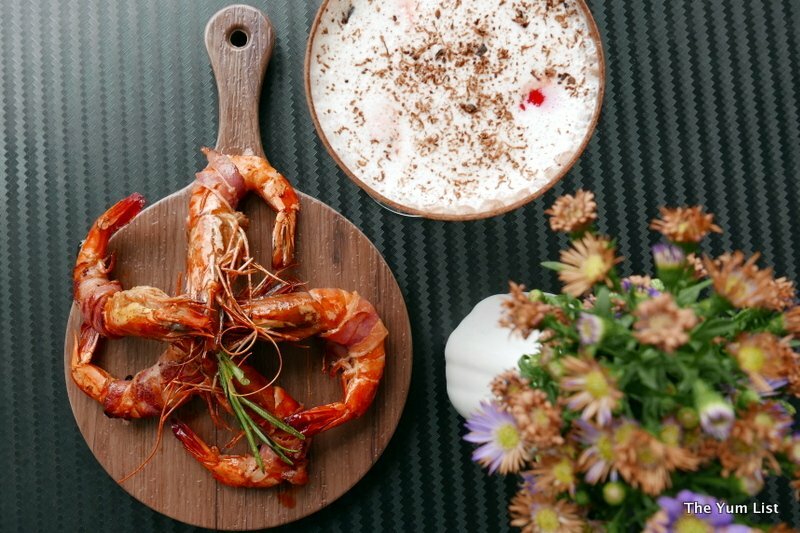 All dishes looks delicious and fabulous..